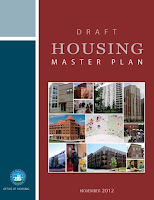 Virginia Housing Development Authority: Alexandria’s Housing Master Plan is up for Review! Alexandria’s Housing Master Plan is up for Review! The City of Alexandria embarked on an ambitious planning endeavor over two years ago to create a new Housing Master Plan for the city. Alexandria has been subjected to increasing real estate costs and substantial regional development pressures over the past decade. As a result of this, there has been a dramatic reduction in existing market affordable housing in the city, plus reduced opportunities for new affordable housing development. In response to this situation, the Master Plan is intended to guide future development and preservation of affordable housing, community diversity, and economic sustainability over the next 20 years. A draft plan has now been developed and is undergoing community review. The process for developing the plan was created to ensure maximum participation by citizens, stakeholders and various city organizations. Working with a professional planning team, the process entailed over 15 public meetings, tours of neighborhoods and affordable housing example developments, plus hands on planning exercises that helped all involved understand housing needs and potential locations. The city also created a Master Plan Advisory Group that included the city’s existing housing advisory group plus other appointees from the private, public and non- profit sectors. Two prominent local groups also included were the Alexandria Redevelopment and Housing Authority and the Alexandria Housing Development Corporation, each of which have recent affordable housing developments that involved VHDA financing. The draft plan incorporates a proposed set of “Guiding Principles” that are intended to create a comprehensive vision for the Master Plan and its implementation. These principles include housing options for all incomes; expanding choices for all ages and abilities; implementation through collaborative partnerships; prioritizing future location of affordable housing opportunities, especially in transit oriented, amenity rich areas of the city; optimizing mixed-income development; and recognizing that affordable housing is important to Alexandria’s economic sustainability. Community meetings were recently held, and online comments are also welcome. 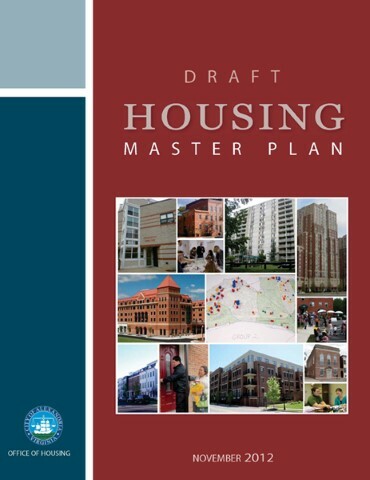 Learn more about Alexandria’s draft Housing Master Plan. What do you think about it?